Those elected to government roles, both locally and nationally reflect my background. The majority are aged between 45 and 65 years, are European, well educated, relatively affluent and few have experienced real hardship. Most of us believe we got here through our own abilities and hard work. Our experiences of this country are a reflection of our affluence and the communities we live and operate in. If we remain within these communities, and our comfort zone, then Aotearoa is a paradise. A growing percentage of New Zealanders do not share my experience or circumstances. According to the last census, 25% of us were born overseas, almost 14% of us were born in Asia, 15% of us are Maori and 7% have Pacific ethnicity. Males make up 48.7% of the population and once we are older than 65 years then two thirds are female. None of our demographic have tried to rent a house as a young Maori woman; have experienced bringing up children on a benefit or minimum waged job; have been beaten by our partner; or have English as a second language. Few of us would have found problems finding jobs that fitted our experience or qualifications. Once we remove all the other gender and cultural demographics other than educated, affluent European males aged between 45-65 years, we probably make up less than 5% of the population. Research has revealed that wealth reduces compassion and those within this group, who currently lead our Government, are probably amongst the wealthiest who have ever held those roles. At this point I remove myself from this demographic, and those left probably make up less than 1% of the population. The last seven years has seen an incredible growth of wealth and influence for rich white men and a decline in the circumstances of Pasifika or Maori women and children. The priorities for this Government clearly meet the needs of a small sector of society with billions spent on roads for Beamers to drive on and much less for maintaining schools in low decile communities, building social housing or lifting the minimum wage. 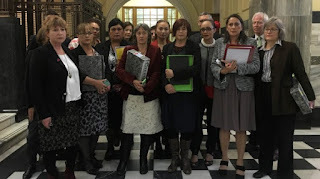 If Metiria Turei, Eugenie Sage, Catherine Delahunty, Julie Anne Genter, Mojo Mathers, Jane Logie, Denise Roche and Marama Davidson had leading roles in the next Government we would see some major shifts in priorities. It's probably that simple.